During summer, many people spend a great deal of time indoors because it’s too hot to be outside. With the air-conditioning on, you may feel nice and comfortable. But, things could turn around if you’re constantly breathing stale and recycled air. Don’t set yourself up for getting sick during a season that’s all about having fun! Put some air-filtering flowers inside your home to stay healthy. Here are some great flowers to keep indoor air healthy. Peace Lily is an evergreen that’s easy to take care of. It requires little light or water to thrive, which makes is a perfect inside plant. You can buy Peace Lilies at many garden stores and they’re simple to grow in a garden. NASA analyzed houseplants and found that Peace Lily was the most efficient plant at removing airborne VOCs (volatile organic compounds). This flower is often called Florist’s daisy and Hardy Garden Mum. It’s a houseplant and popular perennial that many already have in their home. It loves direct sunlight and needs an adequate amount of water, so keep it by a window and watch it’s moisture level. With the right care, Florist’s Chrysanthemum will blossom up in a house or place of business, and help cleanse the air of toxic chemicals. * Note – These flowers are poisonous to animals, so keep them up high if you have furry companions living with you. Commonly called Flamingo Lily, Anthurium andraeanum is a stunning evergreen that’s mostly know for it’s beautiful flowers. 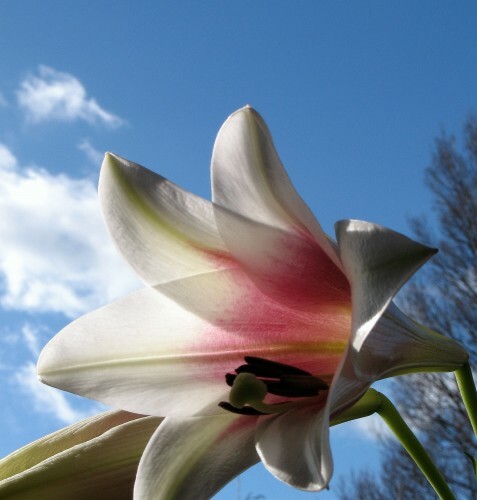 The NASA Clean Air Study noted that the Flamingo Lily was especially effective at ridding dangerous airborne formaldehyde and ammonia from inside air. Flowers are perfect companions to humidifiers and electric air purifiers in a home or office, and depending on the circumstances, they can purify air entirely on their own. They sure look pretty doing it, too.